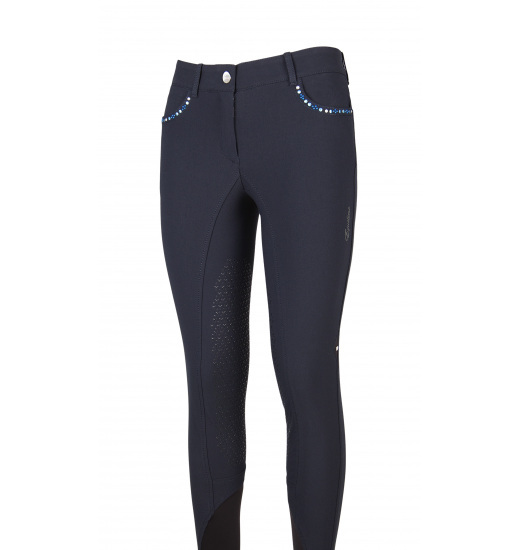 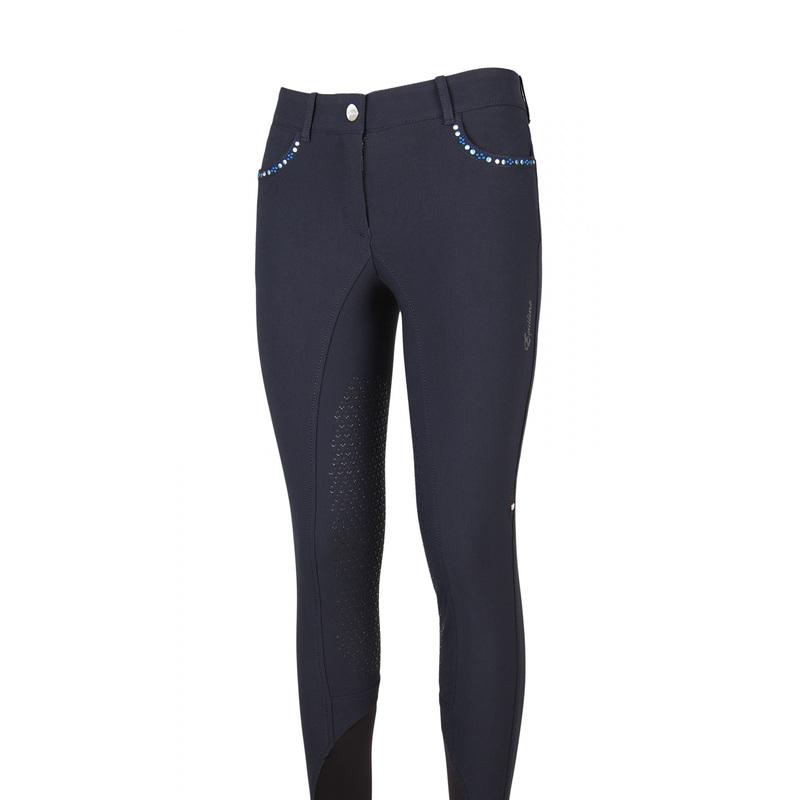 Decorative ladies' breeches Liza. 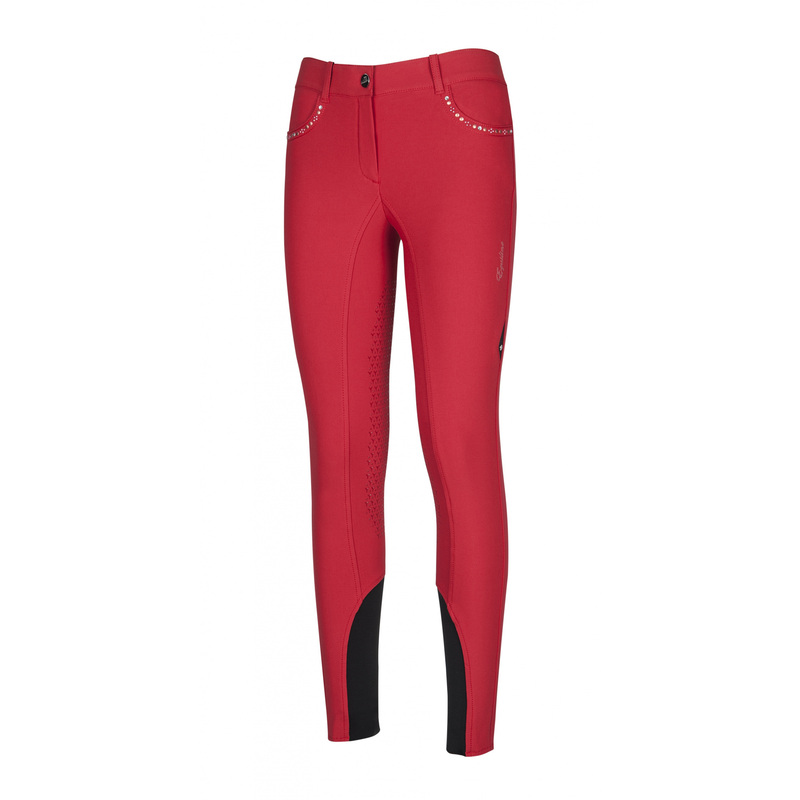 They are made of Schoeller material, which is highly waterproof. 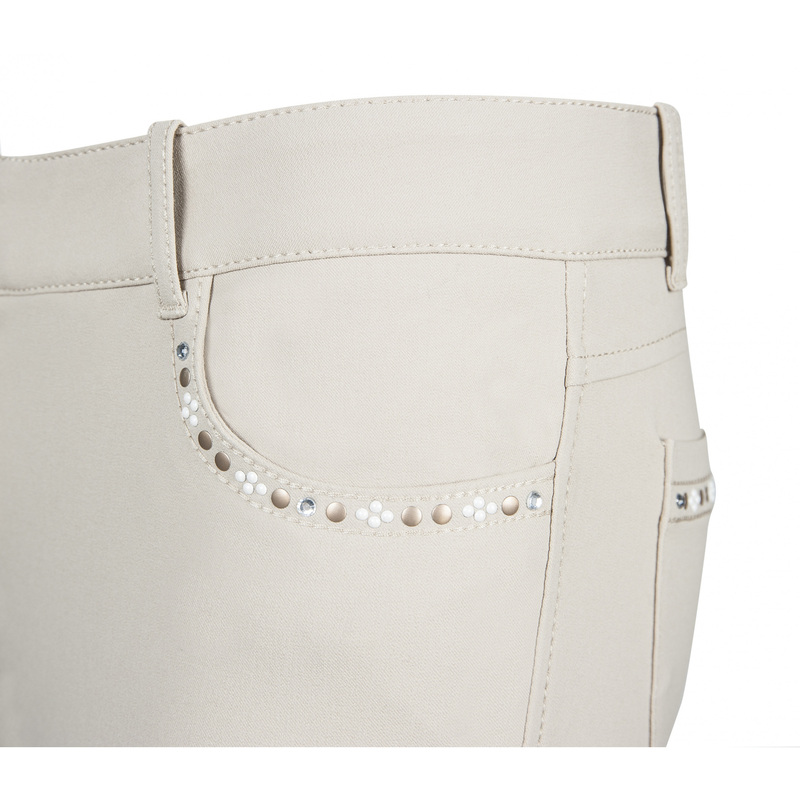 The breeches are exceptionally elegant due to application of a row of beautiful beads placed above the grip on the back and on the front pockets. 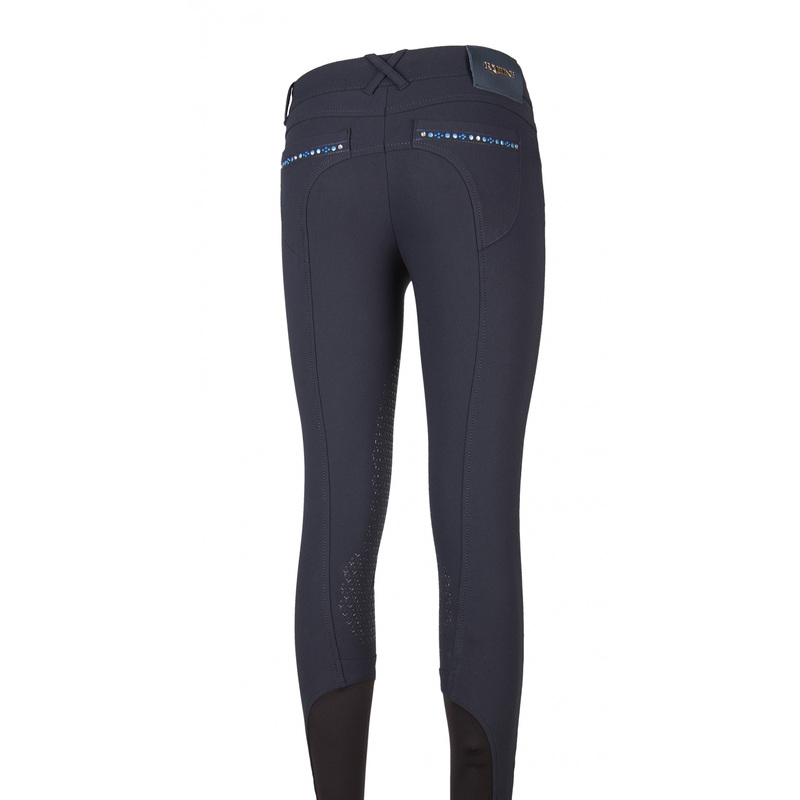 Their knee grip is covered with a non-slip surface, which improves adhesion to the saddle. 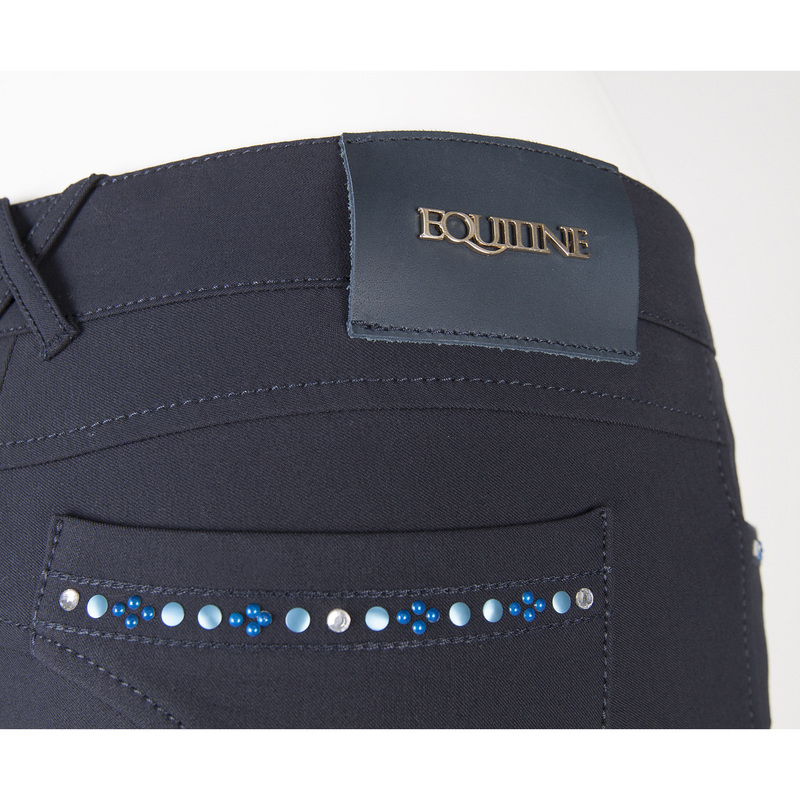 An Equiline writing is on the outer side of a thigh.